Things are about to get "curiouser and curiouser" in the Lobby Lounge at Four Seasons Hotel Austin. 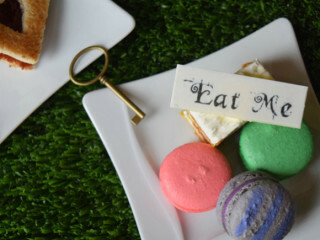 In conjunction with the Ransom Center's Alice's Adventures in Wonderland exhibition, this downtown Austin lounge will offer a special Alice-themed afternoon tea. Enjoy creative treats, special decor, classic movie screenings and a colorfully theme photo booth complete with props.